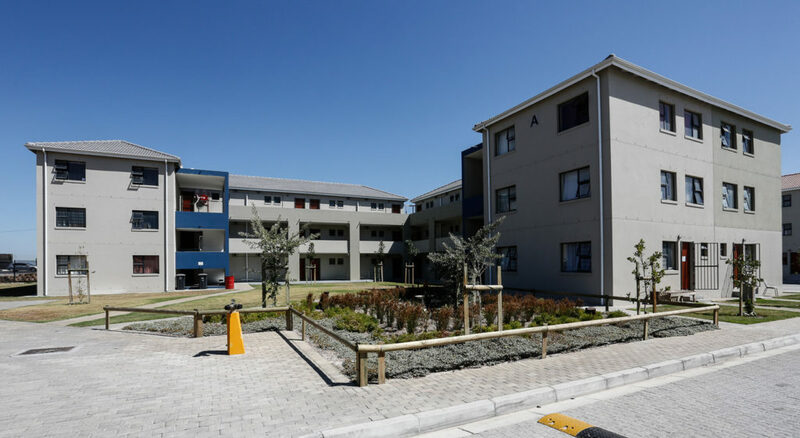 Belhar Gardens Rental Estate in the Western Cape is the first affordable housing project in South Africa to achieve an EDGE (Excellence in Design for Greater Efficiencies) certification from the Green Building Council South Africa. Solid Green was the EDGE Auditor on the certification. 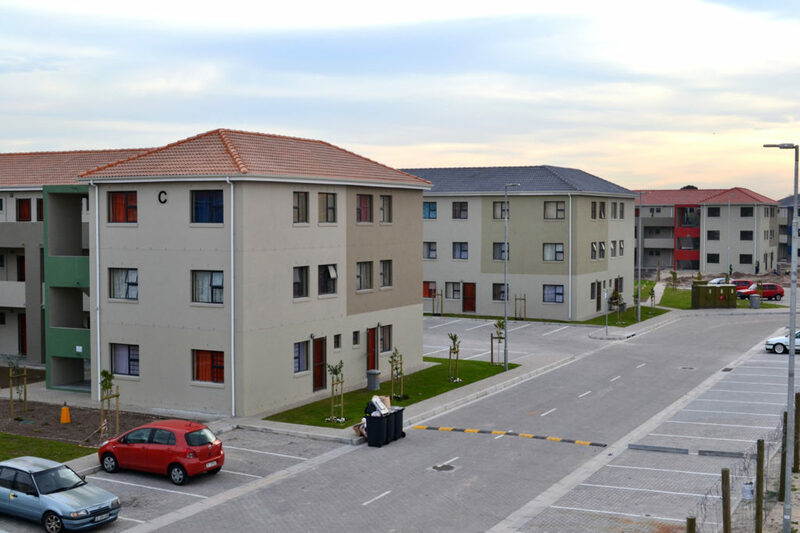 The development, situated on the corner of Carmen End and Symphony Way in the Belhar CBD, was developed by the Madulammoho Housing Association (MHA). Completed in August 2017, the project comprises 630 sectional title bachelor, one-bedroom and two-bedroom units for rental. It is conveniently situated near the University of the Western Cape, the Cape Peninsula University of Technology, the Belhar indoor sports complex, public transport facilities, schools, a library, a clinic and a Shoprite. Belhar Gardens Rental Estate in the Western Cape. The EDGE Post Construction (Final) Certificate is awarded to residential developments that demonstrate at least a 20% saving in water and energy, as well as embodied energy of construction materials. At Belhar Gardens, these measures include water flow restrictors on the taps and showers, and dual flush toilet mechanisms. Pre-paid electricity meters fitted in each unit display current and historical consumption so that each household is aware of its electrical consumption and can change behaviour based on that information. 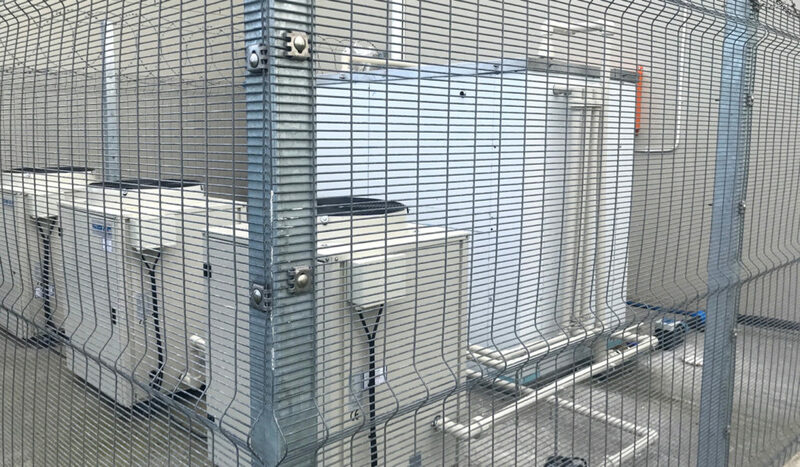 Conventional geysers have been replaced with centralised heat pump stations at every block of units, which can save up to 48% in electricity use compared with conventional geysers. All the units have energy efficient lighting and the external lighting is controlled by daylight sensors. The units are designed to be passively comfortable with lower glazing ratios, and roof and wall insulation as per the EDGE tool. This is balanced against keeping the embodied energy of the materials down by selecting lower impact materials, using only as much material and insulation as is required, and using elements like pre-cast floor slabs. Solid Green is very proud to be able to contribute towards this milestone in the green building sector, through the EDGE certification for South Africa’s first affordable housing project. This sets a new benchmark for residential projects in Africa in general, and specifically for the affordable and social housing sector. Where do I get an application form. How does one go about applying for these flats? Good Day what is the income in order to qualify for this housing application? Good morning i wnant to apply how to.